Acquired by the University Archives before 1972. The George Davis Budd Papers are organized by Biographica material, Zelosophic Society correspondence, and Four Years at the University of Pennsylvania: A History of the Class of 1862. 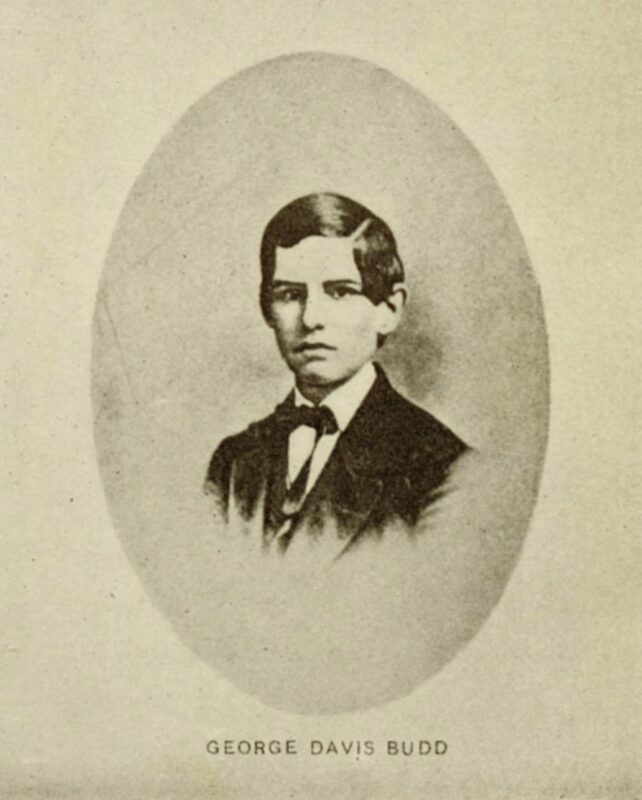 George Davis Budd, born in Philadelphia on November 29, 1843, and was graduated from the University of Pennsylvania in 1862 and earned an A.M. in 1865 and LL.B. in 1865 also from Penn. Budd served as Assistant City Solicitor for Philadelphia in 1872. He died in Santa Barbara, California, on February 14, 1874. The collection chiefly consists of a fascinating history of the University’s Class of 1862, of which George Davis Budd was a member. Composed in September, 1862, the history was published in THE GENERAL MAGAZINE AND HISTORICAL CHRONICLE, in Volume 31, Number 3, 1929. Based on the content of the introduction, it is probable that it was edited by Charles C. Harrison. The history is in the published, expurgated version of the “diary” and a typewritten copy of the original with the expurgated sections crossed out. The collection is rounded out by biographical material on Budd and by correspondence of the Zelosophic Society regarding the formation of a League among the literary societies at the major colleges of the United States in 1862. University of Pennsylvania. Zelosophic Society.